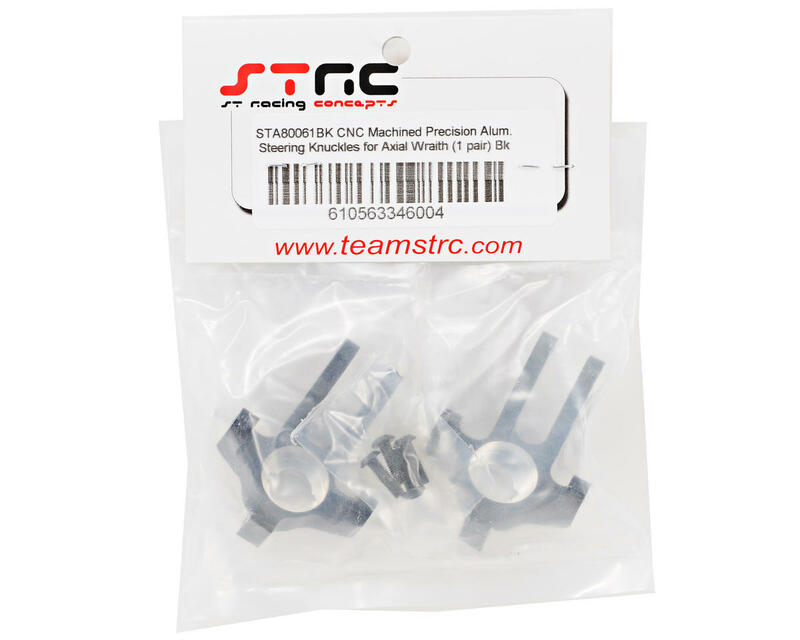 This is an optional ST Racing Concepts CNC Machined Precision Aluminum Steering Knuckle Set, and is intended for use with the Axial Wraith. 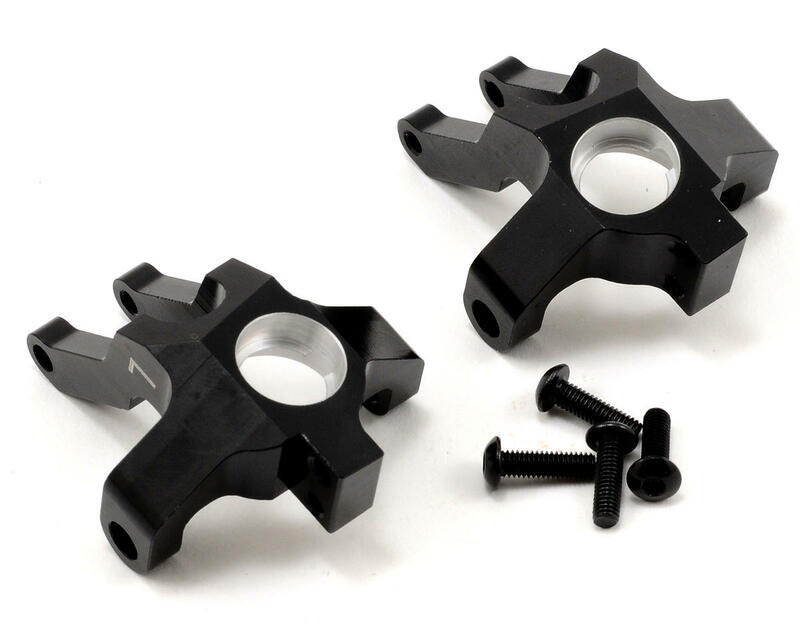 These CNC machined aluminum steering knuckles will greatly improve the durability on your Wraith, while adding great looks and removing any flex that is found in the stock platic knuckles. I also had the same problem with one bearing fitting perfect and the other not fitting at all, I also wrecked one bearing trying to remove it from the messed up side. I cleaned up the poorly machined hole with my Dremel and it was fixed.... Still you should not have to do this to a brand new part. I purchased these knuckles based on past good luck with ST Racing products. Unfortunately that wasn't the case this time. I may just be unlucky but the inner bearing (10x15x4-AXA1230) did not fit into the machined ID of the knuckle. In the process of removing the bearing I destroyed it. Oh well. The left knuckle was perfect. I did some sanding and touched up the bad knuckle and will be running it soon. Everything else on the knuckles was great. Wish they came with the counter sunk 3mm screws to attach the steering arm. Lucky I have a large collection of screws.